What are the hallmarks of most business environments today? Seriousness and busyness. There is no room for fun in today’s business world where competitors are awaiting to give you a hefty shove and seize the opportunity. More productivity is needed to outpace competitors and better serve customers. Summing up the problem, there is a leadership crisis that continues to disregard the human element in most businesses. Any status quo is a collective ignorance and the concept of managing people in organizations is a prime example. Getting the job done on time, working efficiently, ticking the boxes for completion, serving the customers and obeying the authoritarian rule of the manager are some of the features of the management brand. Running companies like factories and demanding obedience does not leave space for fun.At the end of day, people are paid to work not to have fun. Most companies view fun as unnecessary item on the list and worse when they fake it to make it. Experiencing some fake fun is only permissible on Friday afternoons, therefore Monday till Thursday should be certainly mundane. As far as great leadership is concerned, there is no bad or good leadership or something in between. Lack of leadership is the problem, there is a leadership crisis that is ruining most businesses around the world. How to spur fun inside companies that still mirror the factory model of management? The short answer is that we need great leaders. Most companies’corporate cultures are either target driven as in the private sector or over-concerned with policies and procedures as in the public sector. Let’s focus here on the private sector in this post to put the bad leadership on spot. Most corporate cultures reflect their leaders’ characters and their obsessive zeal with money. And to match the plan, they hire people who can increase the profit margins and outpace the rivals. Since it is a target driven environment, the culture favors those who compete and outsmart others to please the boss. Hitting the profit targets is prized and valued more than the staff overall satisfaction and their growth. Having fun is a silly idea in this context. Who is free for that? This is the bad leadership or management model that saps the spirit of joy and fun inside such companies. Rarely do we find or hear the word fun in their corporate training and leadership programs. On the other hand, there is the fun which is exercised horizontally in some companies. Some managers take the personal initiative to kick it off in their departments. The problem is that such attempts fade quickly and the overall energy for the team is fuelless. The prime motive does not exist. With joy as a goal, it easily turns into frustration. Joy is not a purpose or a strategic goal. Menlo Innovations, a company in America pioneered the new rules for innovation and joy. Richard Sheridan, CEO built a company whose purpose is to end people’s suffering using the technology. He built the culture inside Menlo to support this purpose. Purpose is the secret of Menlo. Joy, enthusiasm,flexibility, making mistakes, no fear, working in pairs are the building blocks of this culture. 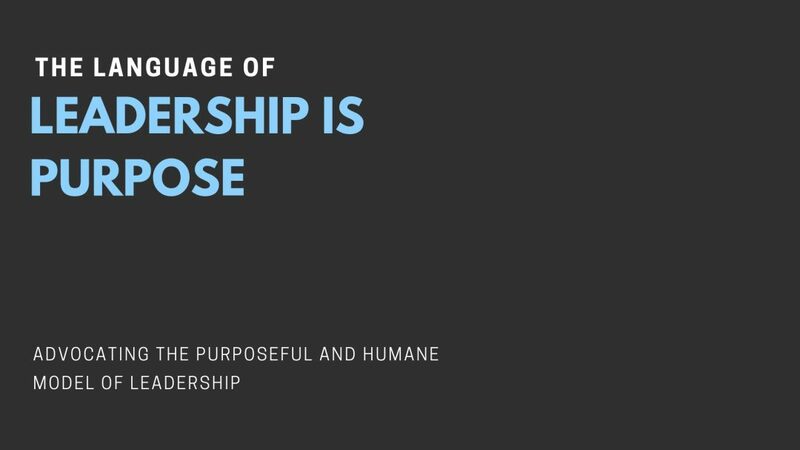 Getting people to work and experience joy together requires a shared purpose, constant empowerment, and no fear culture which all mastered by Menlo and from which we can learn. Menlo Innovation is an inspiring and a useful explanatory frame which can be used to understand the importance of purpose in creating a culture that sparks joy inside and outside the organizational boundaries. Posted in Business Posts.Tagged fun, happiness, joy, leaders, leadership, management, managers, Organizational behavior, Organizational development. Previous Post What caused all the financial and economic crises throughout history till today? It all started 10,000 years ago.